Editors note: A photo will be included with this press release on Marketwire's website. 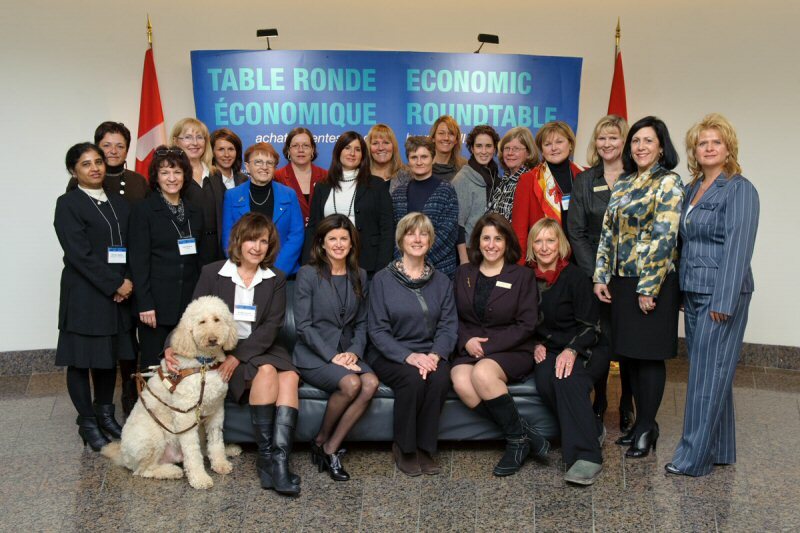 The Honourable Rona Ambrose, Minister of Public Works and Government Services and Minister for Status of Women, today hosted an economic roundtable to consult with women business leaders in the National Capital Region in preparation for Budget 2011. The roundtable consultation was an opportunity to discuss the ongoing economic recovery, creating jobs, providing financial security for families, and ensuring Canada continues to emerge from the global recession as strong as possible. "With Canada's economic recovery still fragile, the economy remains the Government of Canada's number one priority and consulting business leaders will allow us to tailor our next budget to meet the needs of Canadian families and businesses," said Minister Ambrose. "Gathering feedback from women business leaders is an important part of our plan to develop the next phase of Canada's Economic Action Plan, given the significant role women play in leading all types of Canadian businesses." Launched in 2009, the Economic Action Plan has so far contributed to the creation of more than 440,000 new jobs since July 2009 and helped the country emerge from the global economic crisis faster and stronger than most other major industrial countries around the world. Roundtable participants were also briefed on the role of Canada's Office of Small and Medium Enterprises (OSME), which was created to help businesses navigate the federal procurement process. OSME works collaboratively with small and medium businesses wishing to do business with the government to improve the government's procurement and contracting processes. OSME has also developed various tools to assist suppliers in doing business with the Government of Canada, including: a detailed "how to" guide; a new Canadian Innovation Commercialization Program to kick-start the commercialization of Canadian products; and a new www.buyandsell.gc.ca website. The Honourable Rona Ambrose, Minister of Public Works and Government Services and Minister for Status of Women, hosted an economic roundtable on January 17 to consult with women business leaders in the National Capital Region in preparation for Budget 2011.